Turmeric is a popular spice that has experienced a recent rise in popularity for it's many benefits to the body. 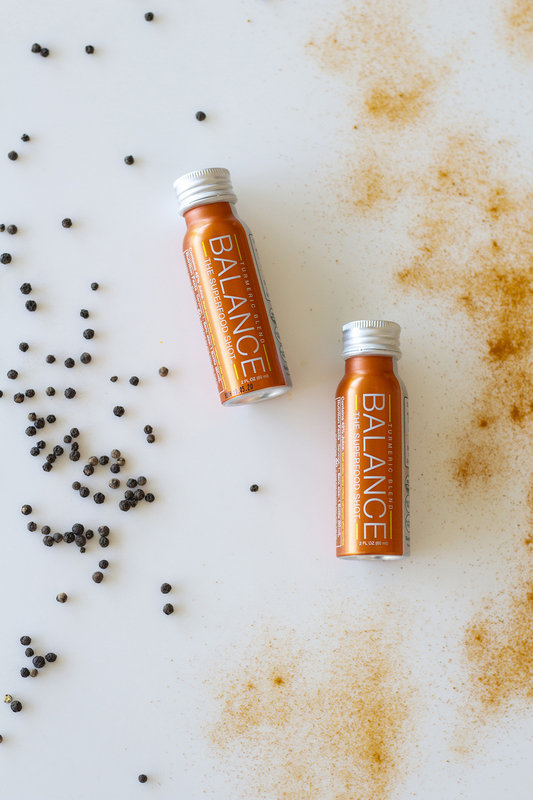 We love turmeric so much that we created Balance the Superfood Shot Turmeric Blend in its honor. But did you know that ingesting a combination of turmeric and black pepper helps your body absorb even more of the amazing properties of Turmeric? That’s why, when we created the Turmeric Blend, we made sure we included just a sprinkle of black pepper into our list of ingredients so we could enjoy the full effects. For details on our full list of ingredients, check out this blog post. Don’t worry, before you start dumping heaps of black pepper into all your Turmeric recipes, only a small amount of pepper is needed to enjoy the full effects of Turmeric! (source) I mean, unless that’s your thing of course! So, makes black pepper so special? That’s a fair question. You may be wondering why a spice – that you probably use every day – has this magic ability to unlock the properties of Turmeric. It all comes down to the compounds inside turmeric and black pepper. Turmeric has curcumin properties and Black Pepper is made of a bio-active compound “piperine”. According to Healthline.com, “Curcumin in turmeric is poorly absorbed into the bloodstream. […] However, adding black pepper can help. Research supports that combining the piperine in black pepper with the curcumin in turmeric enhances curcumin absorption by up to 2,000%.” Together, this unlikely couple combine to create a powerful pair that allows your body to fully absorb the benefits of turmeric! If you’re wanting to enjoy the full benefits of turmeric we’ve got you covered! Check out the Balance Turmeric Blend in our shop today.